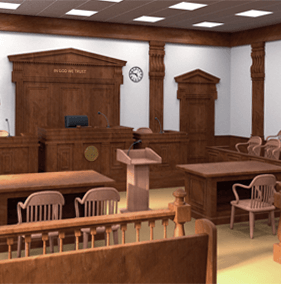 Not every juvenile case in New Jersey proceeds to a formal hearing before a Juvenile Judge. In fact, cases involving criminal complaints against juveniles are first sent to the county’s Juvenile Unit for review. The Juvenile Unit then evaluates a number of factors, including the juvenile’s age, the severity of the alleged offense, and the juvenile’s previous record (if any), before deciding whether a case should be heard in the Superior Court, Family Division before a Juvenile Judge or through an alternative venue, one of which is the Juvenile Conference Committee (JCC). Alissa Hascup is a highly experienced New Jersey juvenile defense attorney who regularly assists children and parents across the state who find themselves dealing with the juvenile justice process. As a former Prosecutor and Special Deputy Attorney General, Alissa is well-versed in the law and highly attuned to the thought processes of those operating on the other side of the criminal justice system. She utilizes this unique insight to formulate the best defense strategies for young clients, with a vested interest in protecting their rights and their futures. In fact, Alissa was named among the 10 Best Criminal Law Attorneys for Client Satisfaction in New Jersey, by the American Institute of Criminal Law Attorneys. If your child is scheduled to appear before a Juvenile Conference Committee or Juvenile Judge in Bergen County, Morris County, Somerset County, Union County, Essex County, or elsewhere in New Jersey, contact The Law Offices of Alissa Hascup at 862-257-1200 for a free consultation with an NJ juvenile defense lawyer who will fight for you. Juvenile Conference Committees (JCC’s) are part of a program that operates under the Family Division of the Superior Court in each county in New Jersey. JCC represents an attractive alternative to a formal prosecution and is designed to divert juveniles, most of whom have committed minor criminal offenses such as disorderly conduct, trespassing, criminal mischief, or shoplifting (petty theft). The JCC is a panel of between six and nine volunteers from the local community who are appointed by the Family Division Judge. The panel’s members are specifically trained to hear and make recommendations in juvenile delinquency cases. When a juvenile case goes before the Juvenile Conference Committee, the juvenile, his or her parent(s) and or guardian(s), and the victim (if applicable), will discuss the offense and the associated circumstances. After the JCC hears from the parties and considers the evidence, they make a recommendation to the Family Court judge as to how best to resolve the case. Remember, the standard in Juvenile Court in New Jersey is the best interests of the child. As such, the JCC makes its recommendations with the purpose of promoting the rehabilitation of the juvenile and preventing him or her from committing criminal acts in the future. Potential sentences in juvenile cases that go before the Juvenile Conference Committee include: apology letters, research reports or essays, community service, mental health counseling, work or educational programs, fines, and restitution payments to the victim. Notably, JCC proceedings are entirely confidential, so anything said by the juvenile defendant or other parties remains private. New Jersey law addresses the policies that govern Juvenile Conference Committees in Section 2A:4A-75 of the New Jersey Statutes, which is provided below, in pertinent part, for your convenience. a. The court may appoint one or more juvenile conference committees for each county or municipality to hear and decide matters referred to it by the court. b. The method of appointment and terms of membership to the committees shall be made pursuant to guidelines developed by the Supreme Court. c. Where the juvenile is diverted to a juvenile conference committee, notices of the conference shall be sent to the juvenile and his parents or guardian and to the complainant or victim. The parties may be requested to bring to the conference all pertinent documents in their possession, including medical, social, and school records. d. The committee shall serve under the authority of the court in hearing and deciding such matters involving alleged juvenile offenders as are specifically referred to it by the court. Each juvenile shall be reviewed without a presumption of guilt. The committee shall be concerned primarily with providing balanced attention to the protection of the community, the imposition of accountability for offenses committed, fostering interaction and dialogue between the offender, victim and community and the development of competencies to enable the juvenile offender to become a responsible and productive member of the community. In addition, the committee shall be concerned with preventing more serious future misconduct by the juvenile offender by obtaining the cooperation of the juvenile and his parents or guardian in complying with its recommendations. The court may schedule a hearing where the complainant or victim objects to the recommendations from the conference. e. The committee shall provide for the resolution of the matter and shall supervise and follow up compliance with its recommendations in the same manner and under the same limitations and with the same sanctions as the court intake service conference. f. All proceedings before the juvenile conference committee are confidential and include only those records which in the court’s judgment are necessary to aid in making a recommendation. If you or your child is a juvenile arrested and issued a criminal complaint in New Jersey, it is highly advisable to have a juvenile defense lawyer who is well-acquainted with the different ways, both formal and informal, in which juvenile cases are resolved in New Jersey juvenile cases. At The Law Offices of Alissa Hascup, we advocate for minors inside and outside of the courtroom. Call 862-257-1200 now to discuss your specific juvenile matter and receive a free consultation. 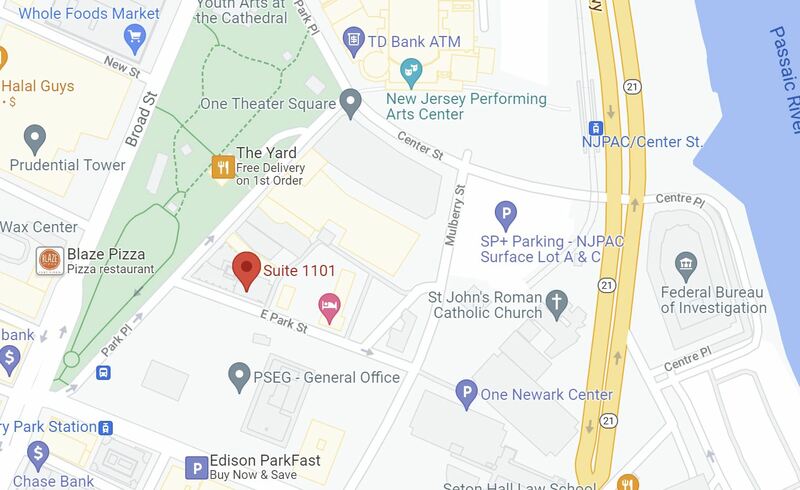 We represent clients in Hackensack, Elizabeth, Newark, Jersey City, Paterson, Woodbridge, New Brunswick, Morristown, Clifton, Fort Lee, and throughout New Jersey.